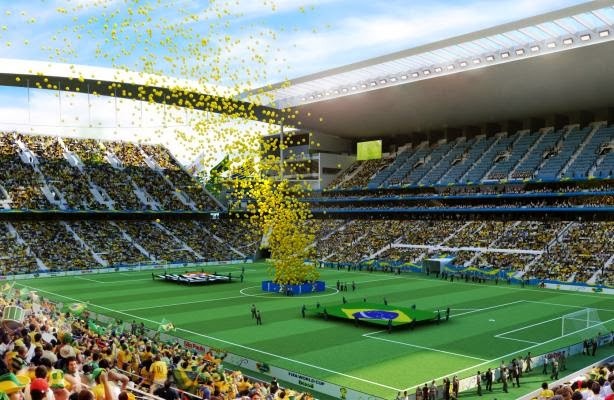 Are you planning to watch closely the world cup 2014 in Brazil and don't know where to start? I'm Brazilian and I wrote these 3 posts to help you regarding the World Cup Brazil 2014. I will give you some basic tips about the host cities, such as cheap accommodation, the stadiums, matches in these cities, what to visit, places to have fun, etc. The World Cup will take place between June 12 and July 13 in 12 different host cities in Brazil. 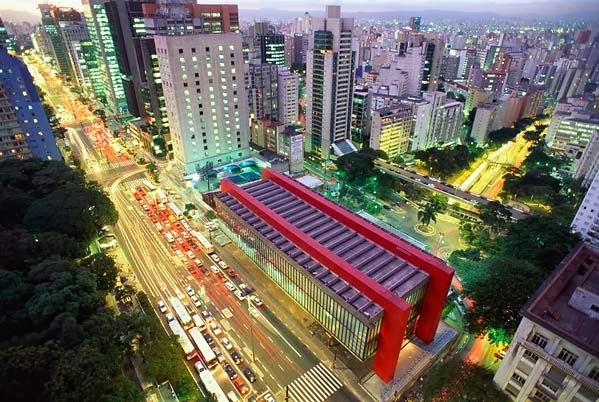 Host of the opening ceremony, São Paulo is the largest and wealthiest city in Brazil. With a population of around 12 million people, it is also one of the largest cities in the world. The subway is the best among Brazilian cities and the lack of natural landmark attractions is compensated by a large diversity of places to go and have fun, any day, any time. 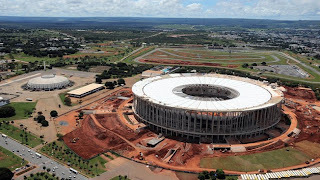 The Corinthians (famous brazilian soccer team) Stadium is located in Itaquera, really far from city center, but accessible by subway. Due to the distance and the amount of people taking the subway during the world cup, it's recommended to go the stadium really early. The stadium is very far from city center, the ideal is to stay in more central regions in order to best enjoy the city, beyond the matches. But avoid staying in the older, close to the Sé Cathedral and Luz regions, they are more dangerous areas, especially at night. São Paulo is a city that never stops. There are great restaurants with all kinds of food. São Paulo is also known for having the best pizza in Brazil. Liberdade is an asian neighborhood where you can find typical food, souvenirs to buy and much more. It's worth spending some time walking around its streets. The most bohemian neighborhood in the city is Vila Madalena, with dozens of bars and clubs, with or without live music, mostly samba. Other quarters with nice places to go out are Pinheiros, Moema, Itaim Bibi, Vila Mariana and Avenida Paulista. In these areas you can find rock pubs or sertanejo clubs. Porto Alegre, capital of Rio Grande do Sul (the southernmost state of Brazil) is famous for its barbecue and chimarrão. But this nice city has other qualities besides its tasty pieces of meat. It also has a very busy nightlife and a great quality of life. Beira-Rio stadium is located on the banks of Guaiba River, and it's easily accessible (5km from city center). There are many hotels in the area. Keep in mind that the World Cup will be held in winter and Porto Alegre is a very cold city at that time, with temperatures close to zero degrees Celsius. Remember to always have a coat next to you. Besides eating good barbecue, you also have to go out at night in Porto Alegre. There are several options of bars, pubs and clubs that play rock, electronic music and so on. Rio Grande do Sul is also known for having lots of nice micro breweries. You should definitely try some of them. The most bohemian quarter of the city is Cidade Baixa. It's worth a visit for some beers at a pub or a bar. Gramado is a really beautiful small town just 110 km from Porto Alegre. If you have enough time, it's worth to spend a couple of days there. Brazil's capital will host 7 games. It's one of the most beautiful among the stadiums hosting games in the world cup. But it's absurd to spend so much money on a stadium(it was the most expensive) that is certainly going to be underused after the world cup. The capacity of the stadium is 70.000 people, but the average public on soccer games in this city is just 1.000 people. Brasilia is a planned city designed in a shape of an airplane. The stadium is located near the junction of the body of the plane with the North Wing, around 2.2 km from subway “Um” (one). 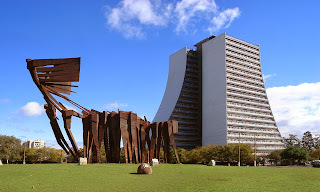 Brasilia has a very interesting architectural heritage. 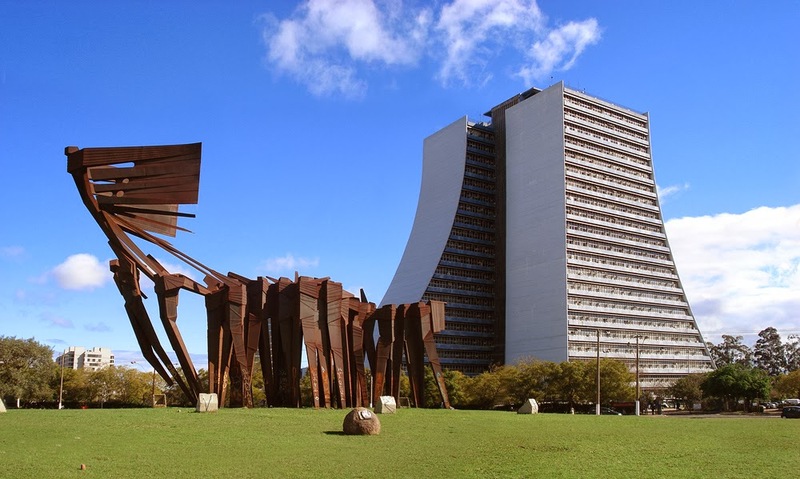 Many of its buildings, which resemble sculptures, were designed by the brilliant architect Oscar Niemeyer. It's strongly recommended to go for some drinks and appetizers in Pontão do Lago Sul, the view of the lake Paranoá is very beautiful. In the region Asa Sul (South Wing) are the most expensive and sophisticated bars. In the region Asa Norte (North Wing) you can find cheaper bars where college students usually go to. In Lago Sul you can find some of the main clubs of the city. Manaus is the northernmost host city in Brazil, it's located right in the middle of the Amazon forest and it is an important industrial center. The stadium is going to be another white elephant because after the world cup it won't be used much. Possibly it's going to be the most difficult city to play due to its hot and humid weather. 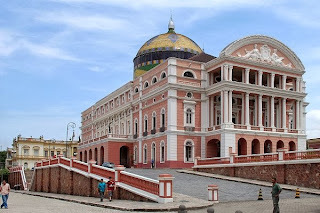 Manaus retains a rich historical heritage, built in the rubber boom. In the historic center you can see the wealth generated by the economy of the time. Besides its unique landscapes, the traveler can also visit the Amazon River and learn a little of the Amazon forest, its fauna and flora. There are great places to eat, drink and go out at night in the neighborhoods of Adrianópolis and Vieralves.